Finding a good gluten-free cookie can be tough. And finding a good gluten-free cookie beyond the “basic” varieties of the traditional chocolate chip and oatmeal, and the like, can be even tougher. That is why I was so very excited to find Glutenetto Artisanal Italian Cookies. Reminiscent of the traditional Italian cookies that my great-grandmother, Nonna, used to make, these cookies and I were in love at first bite. The gluten-free Italian cookie varieties that Cookie Con Amore make are: Ameretti, Bisconttini, Cuccidati Fig Cookies, Assorted Linzers and my favorite, the Wedding Cookie. All the gluten-free cookies are Certified Gluten-Free. I love that Glutenetto Wedding Cookies are perfectly traditional. These melt in your mouth cookies are made by using fresh ground pecans rather than almonds in the shortbread. Add to that a bit of lemon zest and sprinkle them with confectioners’ sugar – and you have a delicious gluten-free cookie, that makes you want more and more. I buy them all the time… and bought two extra boxes for the two lucky winner’s of this Win-It-Wednesday on BeFreeForMe.com. A total of two (yes, 2!) 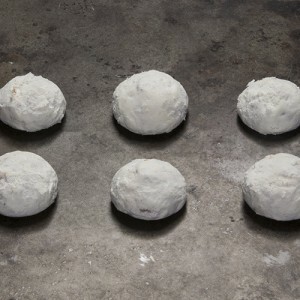 BeFreeForMe.com members will be randomly selected to win a 6-ounce box of Glutenetto Artisanal Italian Wedding Cookies. One (1) winner will be randomly selected from the entries received before Tuesday, September 1, 2015 at 11:59 PM EST, and one (1) more winner will be randomly selected to win from the entries received between Wednesday, September 2 and Tuesday, September 8, 2015 at 11:59PM. SO – make sure you enter two times to win! P.S. Join me in following Cookie Con Amore on Facebook and Twitter! This entry was posted on Tuesday, August 25th, 2015 at 5:52 pm	and is filed under Win-It-Wednesday. You can follow any responses to this entry through the RSS 2.0 feed. You can leave a response, or trackback from your own site. The Cuccidati Fig Cookies variety sounds awesome! I follow Cookie Con Amore on Facebook (Dana Matthews) and Twitter (danadenay1967). They all sound so good! If I absolutely had to choose I’d probably pick the wedding cookies or bisconttini. I always see wedding cookies everywhere and therefore it makes me CRAVE the delicious (but unfortunately gluten-filled) treats! Thank y’all so much for highlighting such wonderful companies! It always puts a smile on my face to read about companies that make a delicious, yet gluten free item, and to read how they are so passionate about what they do! Glutenetto Artisanal Italian Cookies they sound devine especially the wedding cookie they look so light and fluffy. Thank you Cookies Con Amore. I love figs so I think the Cuccidati Fig Cookies sound real good. All of these cookies look yummy, but I have to choose the wedding cookies because I am a huge fan of shortbread. I am drooling!!!!! I am in love with the Gluten free Cuccidati fig cookies!!!!! FIGS are awesome!!!!! I had a package of flourless, gluten-free, delicious cookies at Starbuck’s Coffee for the first time recently. I will rely on you about the best wedding, Italian cookies. Definitely the wedding cookies. I remember making them with my grandmother. The taste would bring me right back there. Oh my God, I wish I could grab the cookie in the photo! I’lll go w/ amaretti & pignoli for now! The Wedding Cookie looks the best. Fig cookies, my Italian grandmother used to make them! Italian Wedding Cookies! Wow! I havn’t had those in years! The Italian wedding cookies look scrumptious!!! I thought I would never again taste Italian Wedding Cookies – I can’t wait to taste them again! I love Linzer cookies, especially raspberry. Great to see a gluten free one is available. How would Glutenetto Artisanal Italian Cookies make my day. Well, I will tell you how I have missed going to the local Italian Bakery to buy cookies on Sundays it was a wonderful tradition that is no more. I am grateful for all the wonderful options that now are available for 7 years ago options were limited. Now, thanks to dedicated chefs, bakerers and fellow GF Eaters with recipes, options continue to amaze me. Now regarding, which cookie looks the best, I will say all. Choice to be made I would pick the fig cookies and pleased to receive these cookies would be an understatement. Thanks for making life a little sweeter Cookies Con Amore. The Assorted Linzers sound yummy. Thanks for the giveaway! Cuccidati fig cookies sound good with my afternoon tea. the variety pack that way I can try all of them. but I am a sucker for the wedding cookies which I have not had in over 10 years. The wedding cookie flavor sounds best to me. Thanks for the giveaway! I have to agree with you – the wedding cookies look wonderful! Would love to try them! The wedding cookies with the pecans and lemon sound the best to me. I haven’t had any of this brands cookies but I do miss this type of Italian cookies. Would love to try them! The wedding cookie looks scrumptious! The gluten free Polentine looks interesting. I would love to try that one. They are all delicious but I like the Wedding Cake. I would like to try the Wedding cookies. My daughter’s wedding is in a few weeks. What a special treat for she and I to share. They sound delicious. If I absolutely had to choose I’d probably pick the wedding cookies or bisconttini. I always see wedding cookies everywhere and therefore it makes me CRAVE the delicious (but unfortunately gluten-filled) treats! Thank y’all so much for highlighting such wonderful companies! It always puts a smile on my face to read about companies that make a delicious, yet gluten free item, and to read how they are so passionate about what they do! They all sound absolutely delicious!! But, if I had to pick one it would be the the Wedding Cookie! Have not had in so long and this ois making my mouth water for them! I LOVE COOKIES- they all sound amazing, but when I was growing up, my grandmother always made wedding cookies…so I must try those! OOKKKK,,, this time let’s try biscottini! I have tried from other brands which were great, this should be even better!! I love figs and miss a good cookie with figs in it so I think the Cuccidati Fig Cookies sound real good. The assorted Linzer cookies sound yummy. Would love to try the Raspberry Linzer cookie though they all sound decadent! The assortment gives me the best memories. As a child, three or four times a year the family would make the two hour Sunday trip to visit my Italian grandparents. There was always a 4-6 course traditional and genuine dinner “like in the old country” that ended with the cookie assortment being put in the center of the table. I still remember a couple of us sneaking away with a biscotti and trying to understand why anyone would want to eat a “rock hard” cookie and risk breaking a tooth. As an adult a biscotti, of course, is the first choice with coffee in hand. I’ve been looking everywhere for a gluten free Biscotti! The Amaretti look amazing as well. Wedding cookies would stop a grumbling stomach.